The Destination 1.5 will allow you to admire the fire in the comfort of your living room thanks to its panoramic, clean face. An optional 120 CFM blower is available to maximize the heating performance of this contemporary insert. When installed without the blower, this appliance can be inserted in a masonry opening of only 20" high. CAUTION! 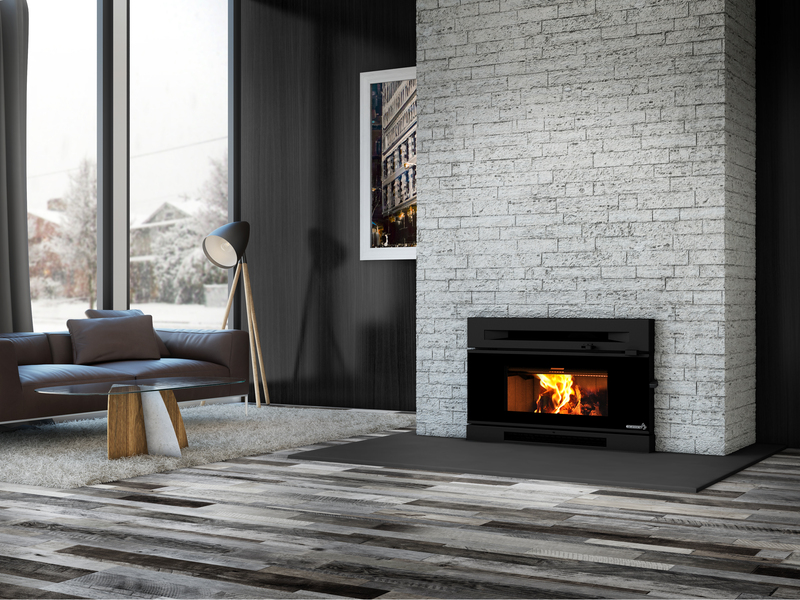 The minimum fireplace opening for an application without blower, cannot eventually receive the optional bottom faceplate kit with blower due to a lack of height. Fireplace opening – minimum without blower (Height) 20"
Fireplace opening – minimum without blower (Width) 29"
Fireplace opening – minimum without blower (Depth) 14 1/2"